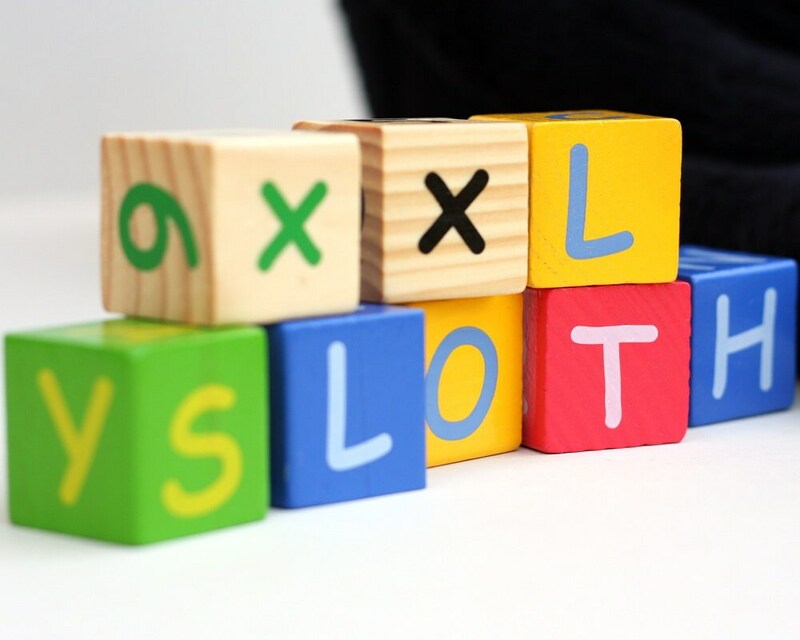 His body is 18 inches (45 cm) and has long arms and legs. He is 30 inches (75 cm) from head to toe. 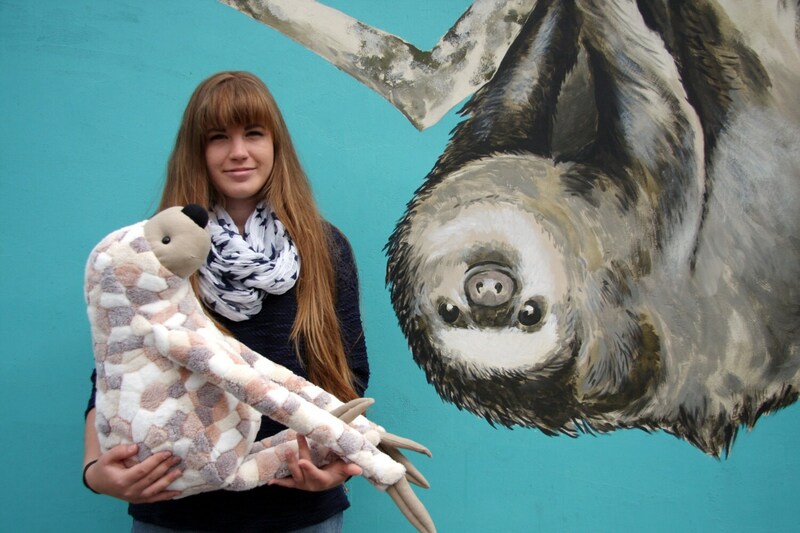 The third picture shows sloths in three different sizes. 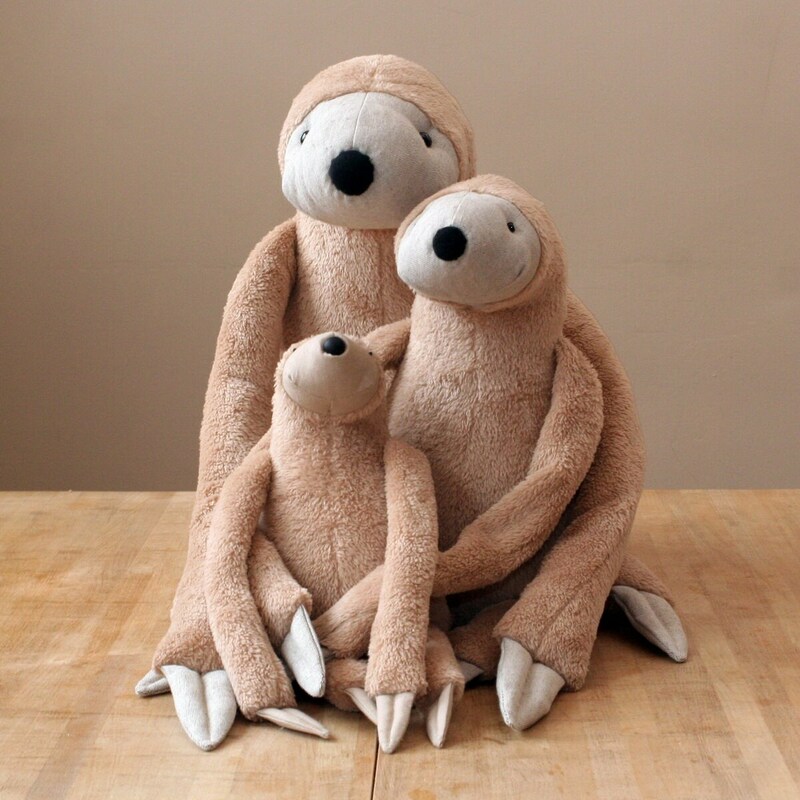 This one sits back left, the small one is the Peanut Sloth and middle one is Big Sloth, which you can find in my shop, too. 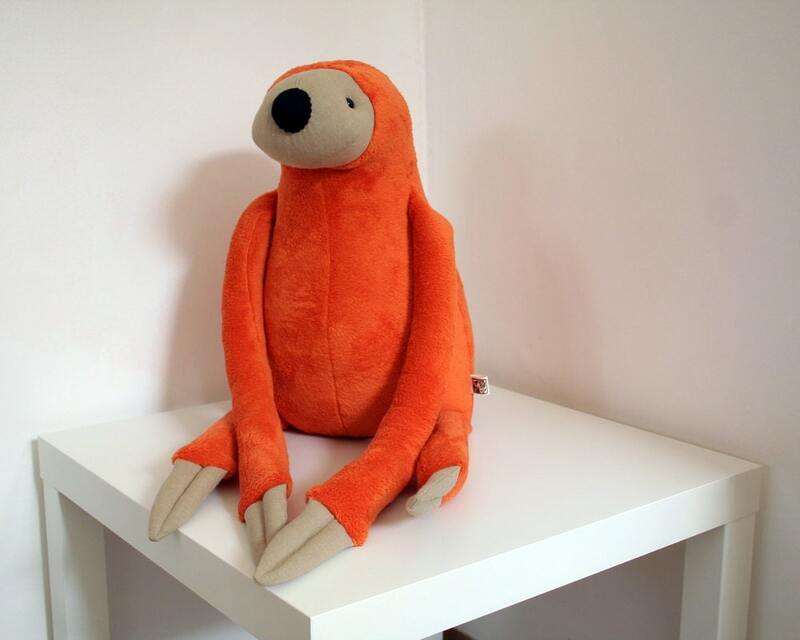 Love my xxl orange sloth! 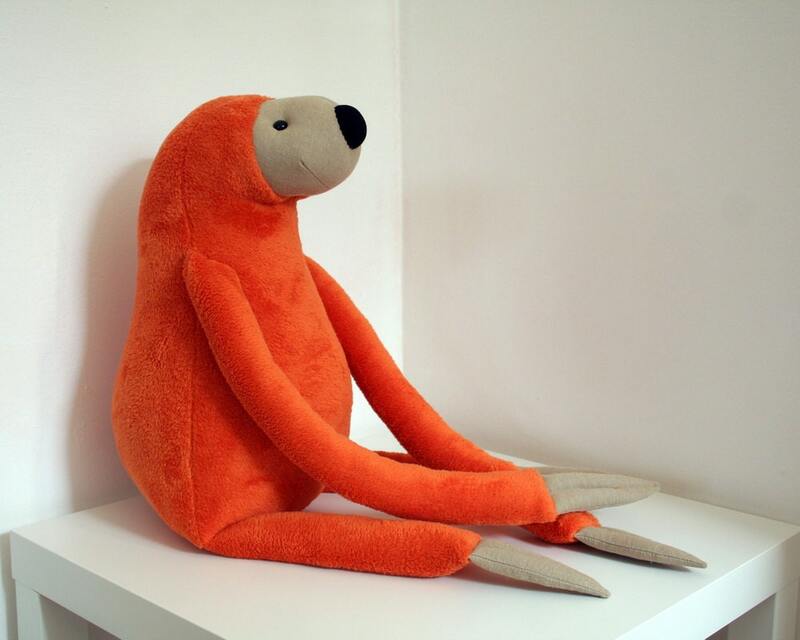 Great quality sloth, finely made! So happy with my purchase! Super fast shipping! Absolutely perfect! My friend loved him!!!! Love the extra steps she took to make him the perfect gift!